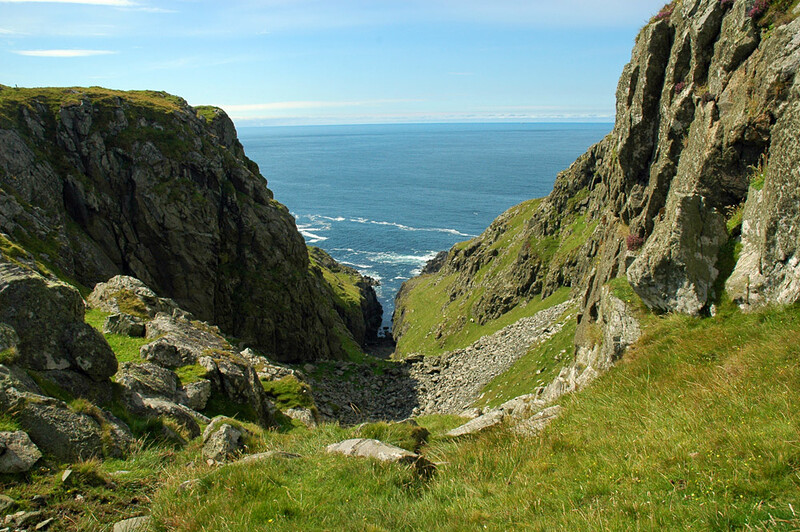 A view out to sea from cliffs north of Lossit Bay on the west coast of Islay. A steep cut in the cliffs opens up and frames the view over the Atlantic. This entry was posted in Landscape, Repost, Sunny Weather and tagged Islay, Rhinns of Islay by Armin Grewe. Bookmark the permalink.